On the 2nd and 3rd of May at the Olympia in London, Retail Design Expo (RDE) took place, one of the leading events in Europe in innovation and inspiration in the world of retail. It is a trade fair where PORCELANOSA Group was represented by the L’Antic Colonial and KRION firms. At the trade fair, all types of solutions could be found, and there was a large programme of free conferences with important speakers. 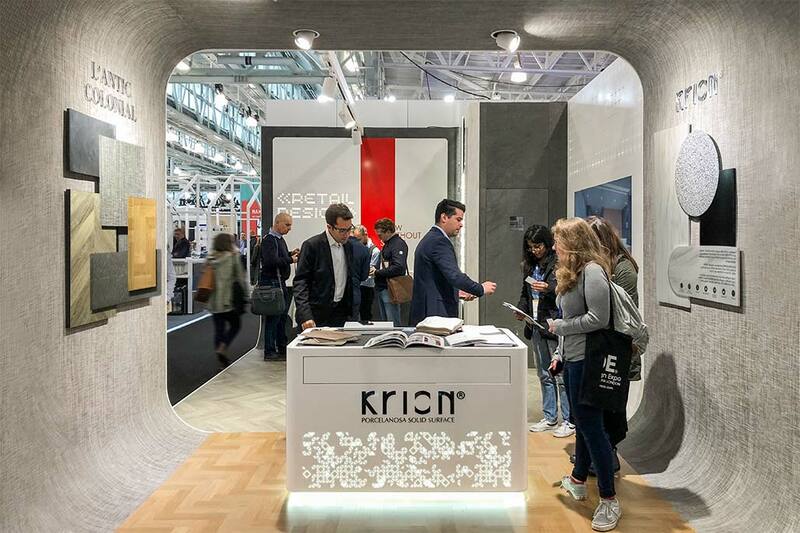 L’Antic Colonial, as the Group’s representative commercialising natural products, and KRION as the new generation solid surface, were present at Stand F229 under the title of PORCELANOSA Solid Surface & Natural Products, the space being used to present the new materials of both firms.